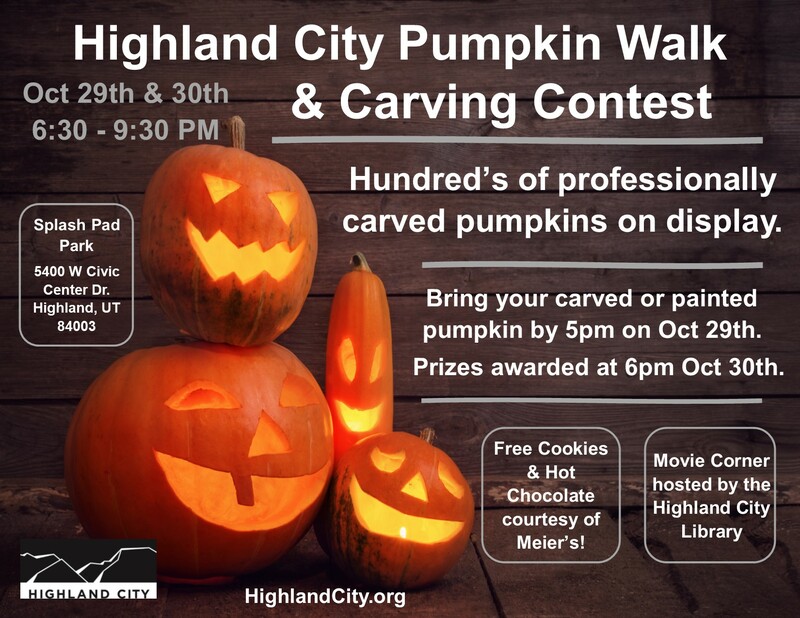 Come to Highland City's annual Pumpkin Walk! Hundreds of expertly carved pumpkins will be on display. Amateur carving and decorating contest is new this year! Bring your pumpkins between 2:00pm - 5:00pm on Oct 29th for entry. Winners announced Oct 30th at 6pm. Free Hot Chocolate & Cookies are provided by Meiers! Halloween movies hosted by the Library.